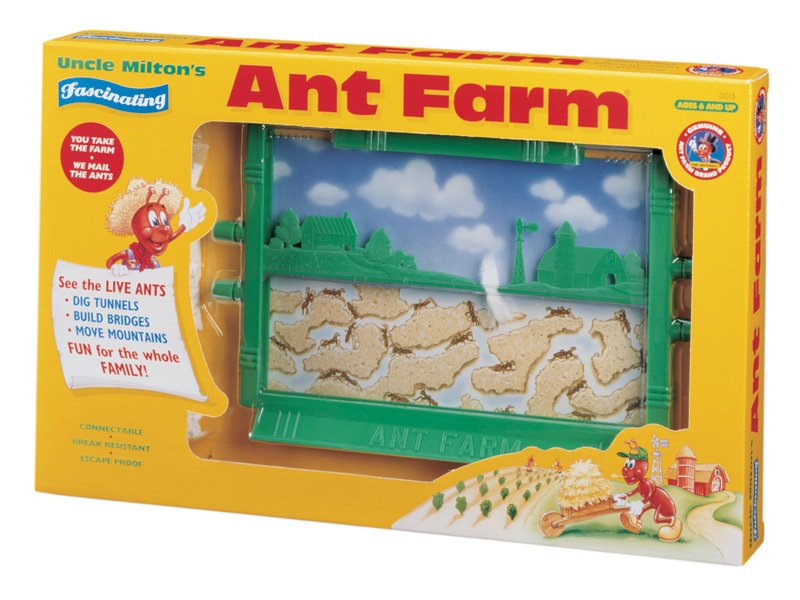 When I was younger I asked for an ant farm for my birthday. I was actually pretty surprised when I got it. I was a child who would watch Saturday morning cartoons and be mesmerized by all of the items in the commercials. I would go through catalogs circling items I wanted, but never expected to received: a pottery wheel, a cotton candy machine and countless arts and crafts kits. So, when I received the ant farm, I was psyched. The only thing better than the ant farm, was ordering the actual ants and receiving them in the mail. They arrived in a padded envelope in a tiny plastic tube (thinking back, I wonder how many of those cracked in transit…) and you dumped them the special sand and they got to work. Within weeks you would see tunnels being dug, and more and more ants began to appear in the case. It was definitely a cool learning experience. So when I saw this video today, I thought it was amazing. Santa, I hope you are reading this because I would like to add this to my Christmas list.